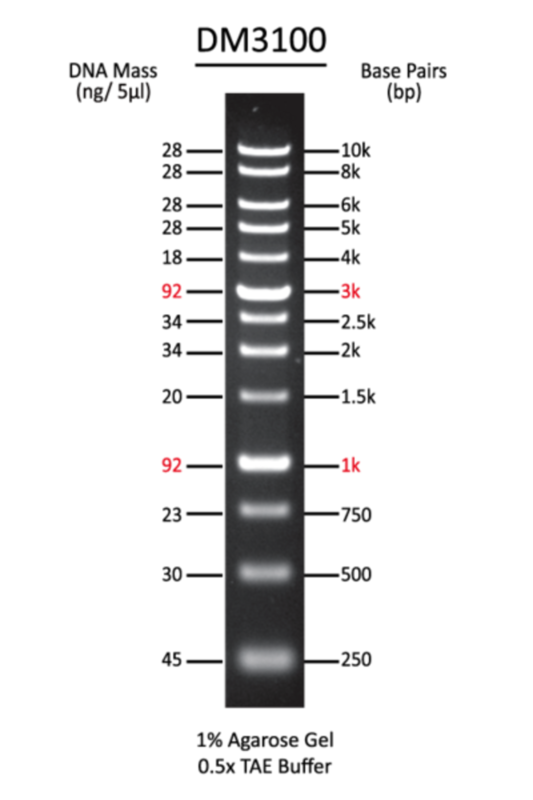 Midori Green DNA stain is a safe alternative to Ethidium Bromide, with multiple safety tests conducted on it. Midori Green is flexible and affordable. Midori Green was developed to offer a non-carcinogenic and less mutagenic dye for DNA electrophoresis. In addition, Midori Green displays a high sensitivity for small fragments as well as a superior signal to noise ratio. Midori Green Advance can be used just like EtBr by adding it directly to agarose and is compatible with regular UV tables as well as with new Blue LED or Blue/Green LED tables and instruments. When used in combination with Blue/Green LED transilluminators, Midori Green results in significantly less damage when cutting DNA from agarose gels and hence dramatically improves cloning efficiency. 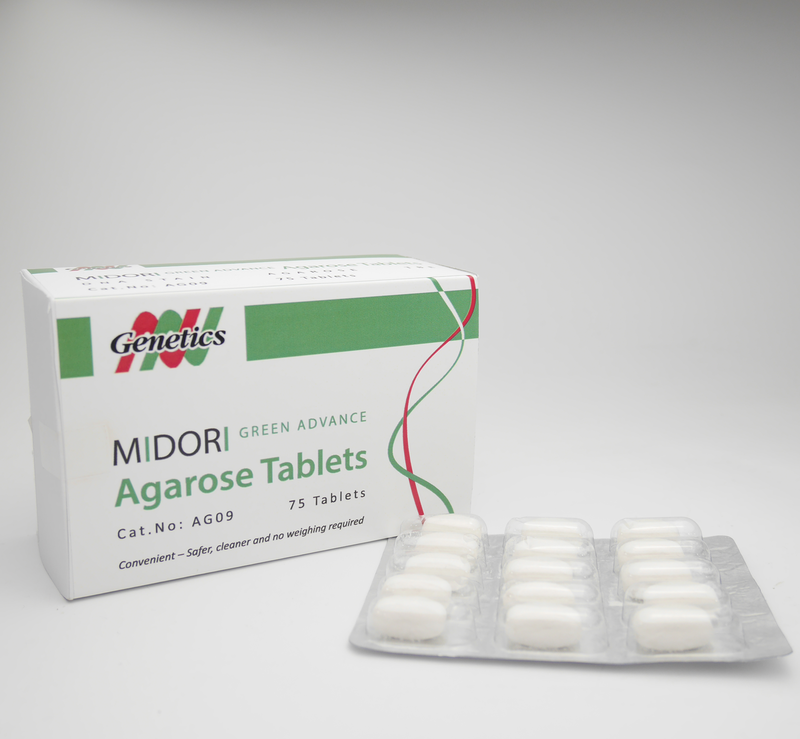 Midori Green Agarose Tablets are a quick and easy solution for preparing agarose gels. The agarose tablet is dissolved in pure water, heated and poured into the gel tray. The popular Midori Green DNA Stain, TBE powder and agarose are all included and only the addition of water is necessary. Also, these tablets are very stable at room temperature.